Welcome to Eco Nrg Ltd, your local, award-winning experts in the design and installation of bespoke renewable energy systems. We've completed hundreds of installations of Solar Panels, Air Source Heat Pumps, Vehicle Chargers and Battery systems in Bristol and across the South West of England. With over 50 years combined experience in the renewable energy sector, we're here to make your dreams of a sustainable future, a reality. For almost a decade Eco Nrg Ltd. have been taking renewable energy projects from dreams to reality in Bristol and across the South West of England. Our technical teams are experts in both initial installation and servicing across the domestic and commercial sectors, with experience across a huge range of renewable technologies and brands. Thanks to some of the highest sunlight levels in the UK, properties in Bristol are perfectly positioned to benefit from a Solar PV Installation. Take advantage of all that free energy with our Solar PV Panels that can power your property for 20+ years. With low-cost solutions and rising electricity prices, there's no better way to provide your property with clean, green energy, and make a tremendous return on your investment. We offer a range of panel brands, including SunPower, the makers of the most efficient PV Panels in the world, which can provide a payback of over £16,000 when installed on properties in Bristol. Reliably supply up to 100% of your property's heating and hot water requirements, and lower your emissions with our Air Source Heat Pumps. Residents in Bristol and the South West who are currently keeping their property warm with LPG, electricity or any other off-grid solution could see huge savings in their heating bills by making the switch to an Air Source Heat Pump, and thanks to generous government incentives, it could cost a lot less than you might think. The days of electric vehicles aren't coming - they're already here, with thousands in Bristol making the change to more sustainable travel. Car charging ports for domestic or commercial properties ensure that anybody who's gone electric always has a full battery. Quick to install and low-cost, our EV Chargers are a necessity if you're making the jump to an electric vehicle, and if you've already got a Solar PV installation, you can charge your vehicle with your surplus generation. 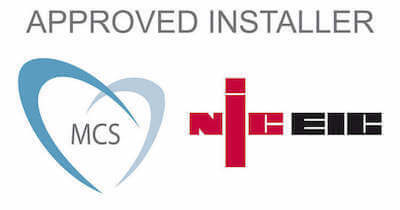 Even better, thanks to government incentives, you can receive up to £500 towards the cost of your installation. We've been installing renewable technologies in Bristol and the South West of England for almost a decade now, but it all started with one man who had a single goal in mind - get the UK going green. The technologies have changed rapidly over the years, but we've been hard at work to ensure that our customers always get the perfect system, from domestic installations to large commercial jobs, we're proud to help Bristol and the South West go green. Thanks to a mild climate and good weather conditions, Bristol is a brilliant place to be if you're interested in renewable energy installations. It may not always seem like it, but down here in the South West of England, we regularly get more sunlight than most of the UK, and it's usually a much warmer place to live. This gives us the perfect climate for renewable technologies, and properties in Bristol and the South West generally see greater yields from their renewable installations than our friends further up the line. This is because it's easier for a Heat Pump to keep a property warm when the surroundings are a little warmer (although they can work at temperatures as low as -15°C) and Solar PV Panels generate more electricity in sunny conditions. If you have a property in Plymouth, Exeter, Bristol, Truro or anywhere else in the South West of England, let's have a chat about just how much you could save by going green.